Cleopa has a Computer Science Background from Kenyatta University. He has extensive experience working in NGOs having worked with Telecentre.org and Kenya Telecentre Network among others. Cleopa has helped in the implementation of several ICT projects ranging from Microsoft Unlimited Potential, UNESCO/SIDA – Empowering local radios with ICTs, and The Technical Centre for Agriculture and Rural Cooperation – ICT in agriculture project. 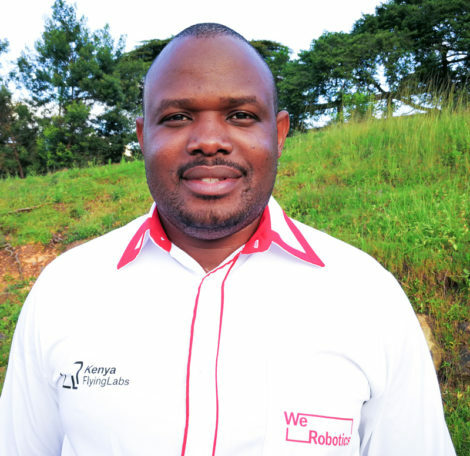 His interest in Unmanned Aerial Vehicles (UAVs) has seen him receive several trainings on drones especially for humanitarian applications and looks to steer Kenya Flying Labs to greater heights working with partners in the country to support organizations and individuals interested in exploring use of UAVs in various sectors.